Experience the life-changing results of learning to use food as fuel. it will improve your quality of life! "One word 'AWESOME!' I lost 7 lbs. of fat... mostly in the mid-section and I feel great! As a result of the detox, I have modified my eating habits (more vegetables, less dairy & grains) and have kept the weight off. I would highly recommend this program!!!" Who Created the 21-Day Detox Program? Yoga 4 You is partnering with Janell Yule, a Y4Y member and the Vice President & Chief Nutrition Officer of the Transformation Club in Chanhassen. 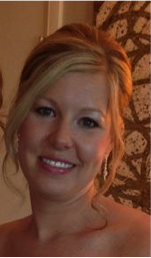 Janell has a Bachelor of Science in Health Promotion & Wellness with a Minor in Psychology. She's also a certified Functional Diagnostic Nutrition practitioner, as well as a certified personal trainer with the National Academy of Sports Medicine. She's been helping clients achieve their weight loss and fitness goals since 2005, and was voted as Best Coach in Chanhassen in 2008. Today she partners with her husband Justin helping great people like YOU achieve their health & fitness goals.